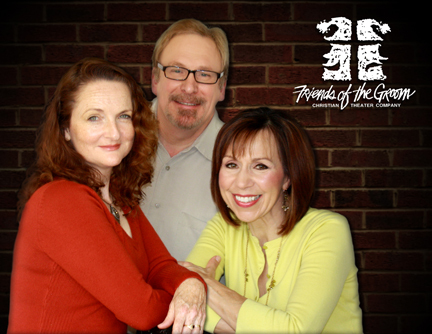 Our 109th Council to be held in Corpus Christi Feb 21-23 will host the Christian drama group Friends of the Groom for four performances. The trio will be arriving in Corpus Christi on Wednesday afternoon before Council and so are available on Thursday morning for anyone who wants to spend time visiting with them about Christian drama. It will be an informal conversation. If you are interested in some talkback time with Friends of the Groom on Thursday morning of Council, Feb 21, please contact Marjorie George at marjorie.george@dwtx.org. Previous PostSt Bartholomew’s, Corpus Christi needs your help. . .Next PostCouncil 2013 Registration Closes Tomorrow!